Upon meeting Nick, most people are instantly drawn to his positivity, humour and infectious energy, while beneath lies a compassionate, competitive and dedicated Property Representative. Nicks primary focus is creating long-term relationships with each of his clients. 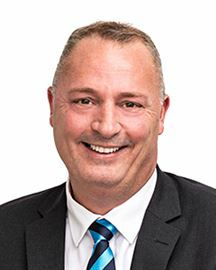 Nick understands that buying and selling a home is one of the most exciting but emotional times for his clients and is committed to ensuring that he understands the needs and motivations to achieve the best outcome possible. Raised in Sandy Bay, Nick attended the Hutchins School and St Virgils College and competed at a national level during his swimming career. Following his schooling, Nick moved to his much-loved suburb of New Town where he has lived for most of his adult life. With a strong focus on his career, Nick has relocated to Melbourne on several occasions working for some of the nation’s largest and most prominent organisations receiving a multitude of awards across his sales, customer experience and project management positions. Along with a lifelong passion for real estate, Nick also has a love of great food, Tasmanian wineries and travel having experienced many different cultures around the world. His love for Hobart and the simplicity of life, brought him back home to stay. If you're looking for the kind of personalised service and responsiveness that existed before the world became automated, look no further than Patrick Noisier. 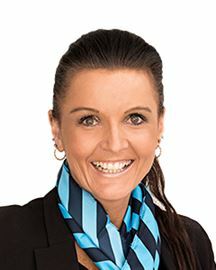 Commencing his real estate career in 2003, Patrick received his Diploma of Real Estate in 2008 and went on to become a co-owner of Tasmanian Lifestyle Property. He’s thrilled to be taking the next step in his career with Harcourts Signature. Patrick has a solid understanding of both the buying and selling process and has built strong relationships with developers, builders and investors along the way. He attributes his success to his communication skills, due diligence in following procedures and persistence in chasing down leads and opportunities. Whilst Patrick embraces modern technology as a tool to help him communicate with clients and market his listings, he prefers approaching clients face to face, listening to their wants, needs, questions and concerns regarding one of life’s biggest decisions. This enables him to provide personalised service that culminates in happy, satisfied clients on settlement day. 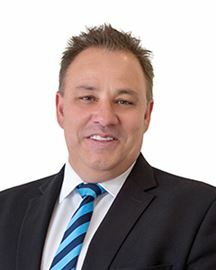 Patrick believes that experience is the best teacher and he is looking forward to bringing his wealth of experience to help his future clients with Harcourts Signature. You have gotta be dreaming!! A Piece of Primrose Paradise! Valley Living at its Best! Brand New Family Home Awaits! Country feel - City address! The hard work has been done!